"Take that, mom! Take that, dad! Send me to a psychiatrist, will you? Take that, Dr. Sally Waxler!" You've probably said those exact same things while letting off some teen angst in the cockpit of a fighter jet at an air show. (except maybe the Sally Waxler part) But that doesn't mean you're an angry kid, just like it doesn't mean Milhouse was angry when he said them. It just means you and Milhouse are passionate and creative types. It's not his fault if he's a bit of a dork with bad luck, he's easy to trick, and he occasionally has bouts of extreme rage and jealousy that burst out when you least expect it. That's just something all kids go through, right? Riiiiight? 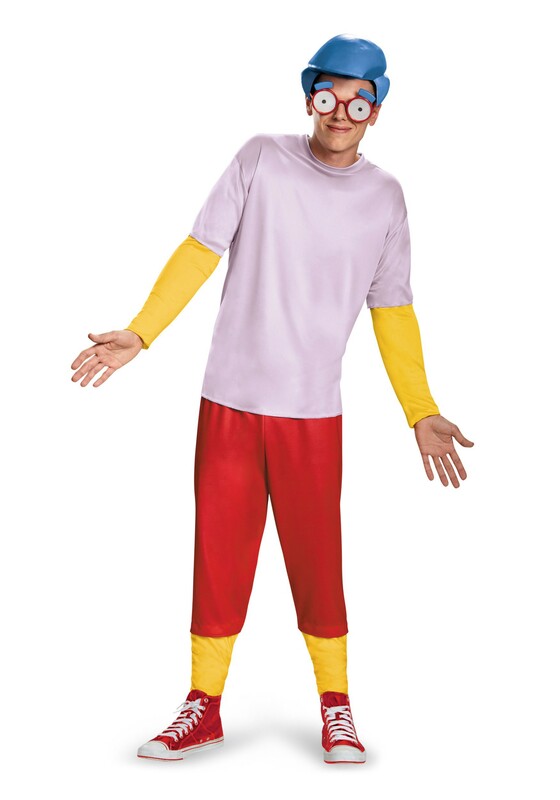 That's why it will be easy for you to step into the shoes of this classic Simpsons character when you're wearing this costume. (actually though, you have to use your own shoes) It has everything you need to be him! 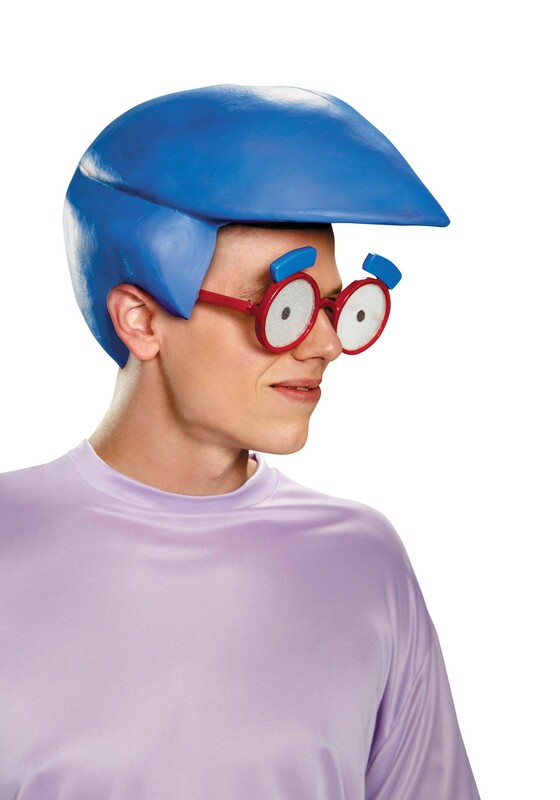 (again, except shoes) Just put on the red flood pants, the t-shirt style top, and the slick blue vinyl headpiece and giant glasses, and even if you're full of teenage feelings and don't have any shoes, everything else will be coming up Milhouse! Great costume feels nice and looks great. Wig came a little bent, probably crushed by something in the postage, not the company's fault though. The order came a day early too! Anyway, will purchase again from this site!